National Love Your Pet Day is Feb. 20. That means it’s time for pet owners the country over to shower their furry friends with a just a little more affection than they normally do. One of the best ways to do that is to enter Myron’s “My Pet” Photo Contest and turn Fido into a calendar model for all the world to see. Participants must submit a photograph of their beloved dog or cat either through Facebook or, for people not linked to social media, Myron’s separate portal. Judges will be looking for originality, photographic quality and category relevance. People may submit multiple photographs. The grand prize winner of the contest will receive a $500 Visa gift Card as well as 50 wall calendars featuring the winning photo. 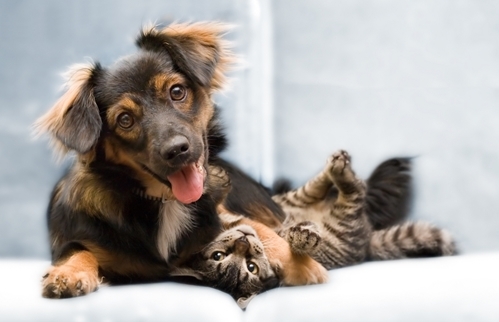 Second-place pet owners could win a $250 Visa gift card. That’s plenty of money to buy new pet toys, collars and bowls for photogenic puppies and kittens. Anyone interested in participating should act now, as the end date for submissions is March 3. For full details concerning rules, limitations and criteria, people should consult Myron’s official “My Pet” photo contest rules.